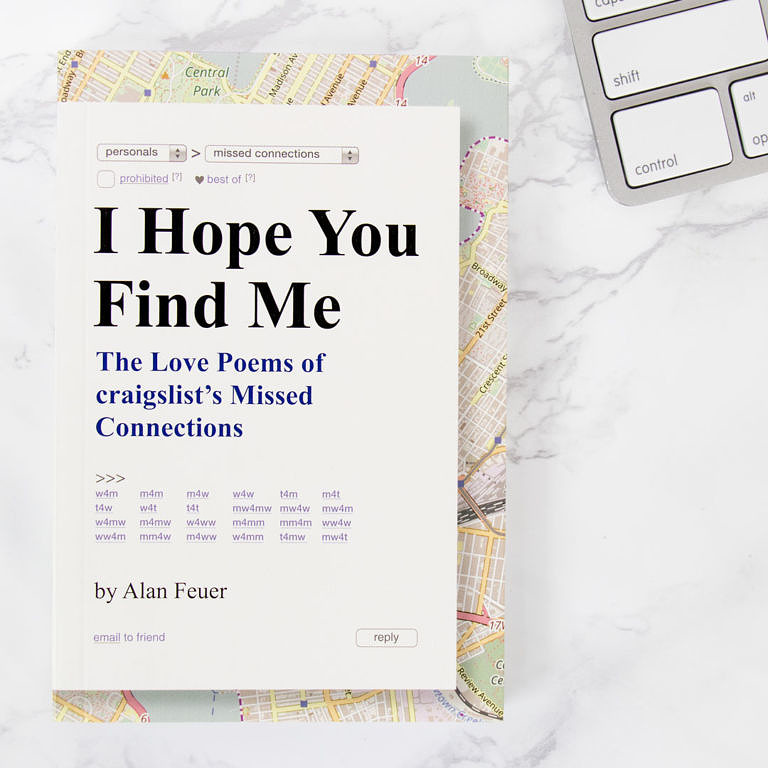 Since 2009, journalist and poet Alan Feuer has collected, curated, and shaped craigslist Missed Connections ads into featured poetry collections for the New York Times. These fresh and oh-so cheeky “found poem”* compositions evoke romantic musings in otherwise mundane circumstances. Who ever imagined a timeless meet-cute at a port-o-potty? 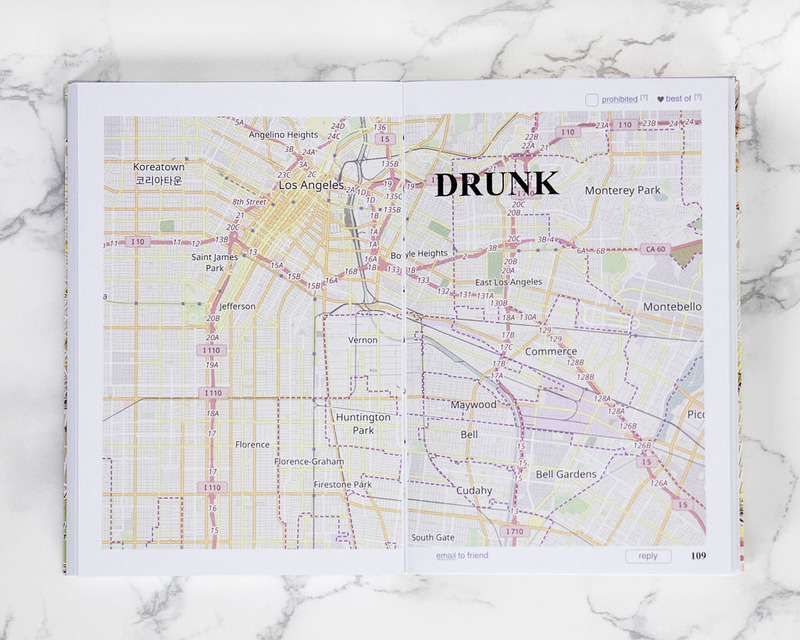 Knock Knock combed through Alan’s NYT “Poetic Connections” section and curated it into an oddly sweet, funny, and curious collection: I Hope You Find Me: The Love Poems of craiglist’s Missed Connections. 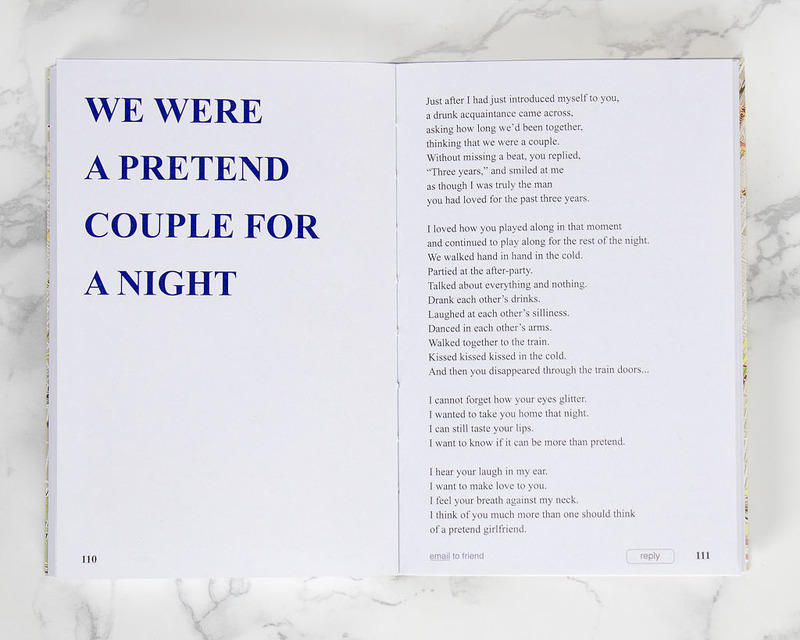 The book features sections ranging from hyper-romanticized themes like “Rain” and “Lust” to humdrum places like “Grocery Stores” and “Gas Stations.” Similar to Alan’s NYT pieces, each poem in the book has been reprinted verbatim with only line and stanza breaks added. Poem titles, such as “In the Back of Your Cop Car Sunday,” and “Dairy Indecision or Mooching Air Conditioning,” have been lifted from the actual subject headings of each ad. Now grab a warm adult beverage, cuddle up by the fireplace, and enjoy the I Hope You Find Me excerpts below. thinking that we were a couple. you had loved for the past three years. and continued to play along for the rest of the night. We walked hand in hand in the cold. Talked about everything and nothing. Laughed at each other’s silliness. Danced in each other’s arms. Walked together to the train. Kissed kissed kissed in the cold. I cannot forget how your eyes glitter. I wanted to take you home that night. I can still taste your lips. I want to know if it can be more than pretend. I hear your laugh in my ear. I feel your breath against my neck. to yank your dog roughly. do it with me now. were just too beautiful for words. my whole year more brightly. *“Found poetry” are poems composed from restructuring an existing text’s words or phrases. **Poem is republished from nytimes.com. To read all sixty-nine (an appropriate number) love poems in I Hope You Find Me, get your copy.